Though a surprise flower arrangement can certainly stand on its own as a beautiful gift, sometimes there is room for a little something extra. We’re so happy to work with three small businesses, two of which are right here in Austin, to showcase some tasty and gorgeous treats. 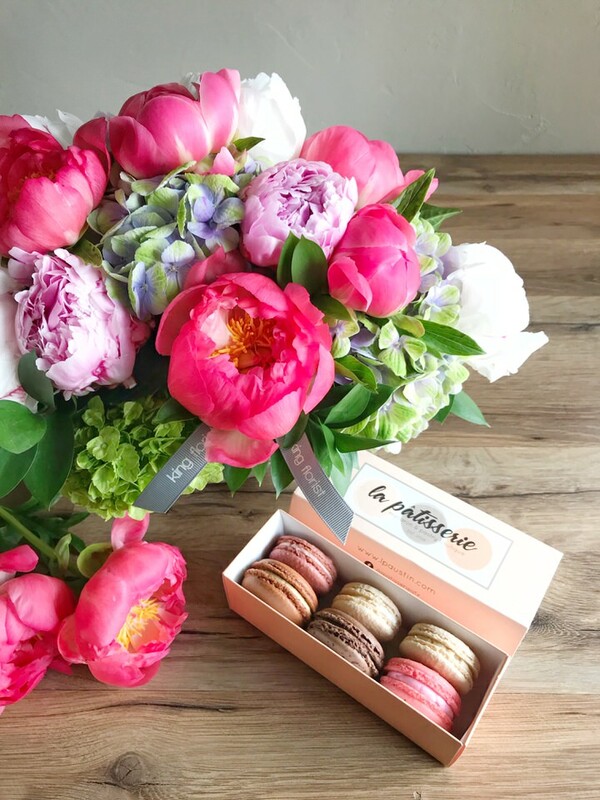 The tastiest french macarons in all of Austin - at least we think so! We love working with this hard-working crew just as much as we love eating their yummy sweets. Available in a set of 6 or set of 12, La Patisserie sends us the best selection of the day for your loved ones to enjoy upon delivery. With that in mind, we seem to have a new favorite flavor each time we open a box to share in the store! For owner, Stacy Bridges, there is something so special about putting hard work, time, and effort into creating something beautiful, but not permanent. This appreciation for fleeting beauty is highlighted in her nearly perfect cake balls and certainly something we can understand as a floral team! We’ve been working with Austin Cake Ball for years and are so happy to see them grow and succeed in Austin and beyond. Celebrating birthdays, anniversaries, or even “a random Tuesday,” as Stacy puts it, with flowers and charming cake balls just feels right. We’re proud to work with these three fantastic businesses because of their top-notch products but also their amazing people. These additions are available for online orders just below your product selection, or please give us a call and we’re happy to talk about our favorites!